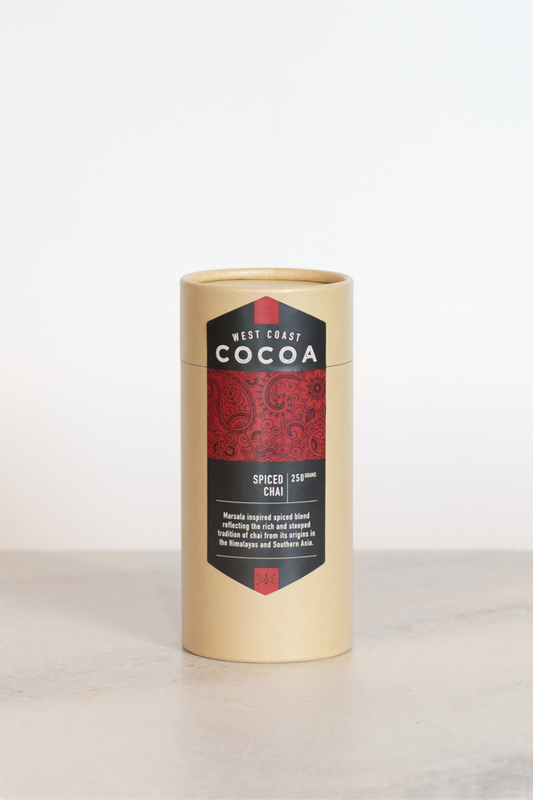 WEST COAST COCOA Masala inspired Spiced Chai is blended from the finest ingredients. The recipe reflects the rich and steeped tradition of chai from its origins in the Himalayas and Southern Asia. Spiced Chai is a decadent blend of aromatic spices and exotic essences brewing a rich, smooth and full flavoured chai.